AMAZING VIEWS that are second to none....This custom built home with oversized 3 car garage and rare dual master bedrooms are great for multigenerational living. sitting on top of a ridge overseeing most of the Denver Metro. 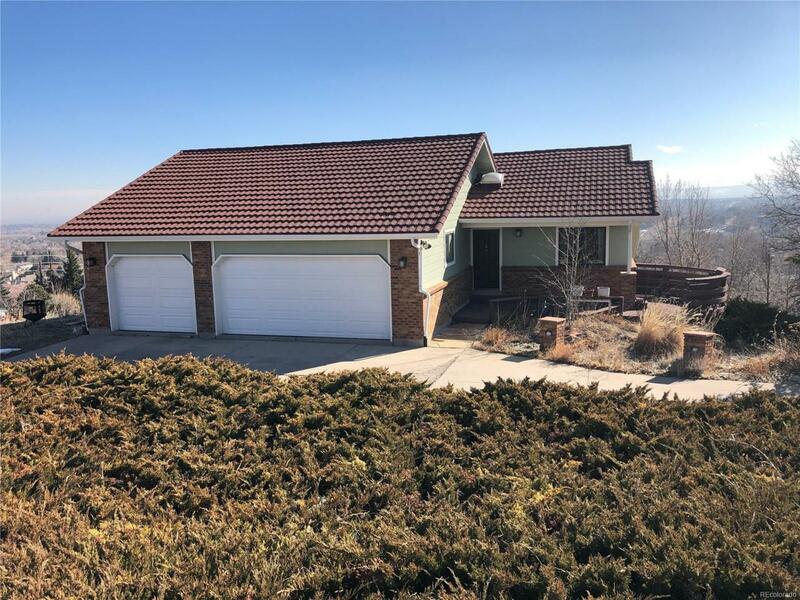 Views of downtown and mountains stretching from the western foothills, to Castle Rock and Pikes Peak and east to DIA. Sunrises and Sunsets from here are breathtaking. Property is zoned to allow for horses, and has an equestrian trail running along back of the property line. This home can use some updating and your TLC to help bring it to its full potential. Entire exterior of the home was updated 5 years ago including - (Roof, Siding, Soffits, Gutters, Windows). Decra metal roof class 4 impact rated. James Hardie fiber cement board siding. Fiberglass Windows. Originally built to be energy efficient with the skylights positioned to have light warm the interior brick to help maintain heat. Energy usage is low for this home, see Xcel statement we left in kitchen.